HOSTELERÍA MIRAMAR BADALONA, S.L., uses its own and third party cookies to improve your experience as a user of our website and to capture statistical data, improve our services and analyse your browsing data. If you continue to navigate, without changing the configuration, we understand that you offer your consent to use the cookies. For more information on our Cookies Policy click here. Located on the seafront, overlooking the beach and the Mediterranean Sea, this modern hotel is located in one of the best locations in Badalona. 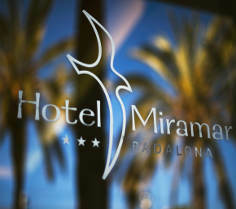 The Miramar is one of the most popular hotels in Badalona. It is ideal for families and just meters from the railway train. This means that you are just 20 minutes from Barcelona. It is also ideally located to enable you to visit several small and charming resorts along the coast. 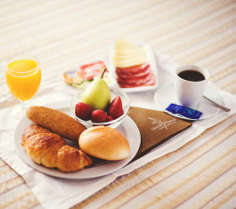 The hotel faces the golden beaches stretching north to form the Costa del Maresme.